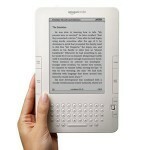 The Challenge: Some form of “classic” book. 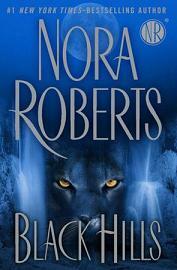 I thought a big fat ole Nora Roberts fit the bill nicely. As I read River’s End, I kept being reminded of Roberts’ later book The Witness. It’s not that I think Roberts plagiarised herself — more like she decided to rework her basic heroine and make her stronger and more interesting. That seemed especially pertinent towards the end of this story, when Olivia starts behaving like a total ninny. Livvy was only four when she saw her blood-covered father standing over the body of her brutalized mother. Her father was convicted of the murder and sentenced to 20 years, and her grandparents decided it would be better to wipe out the memory of her parents and the murder. So Olivia, trying to respect the loving people who raised her, has never really had a chance to process what happened. The murder also made a deep impression on Noah, son of the police officer who first found and comforted the terrified Livvy. Now a true crime writer, Noah wants to reveal the emotional truth behind the murder — but he may be getting too close to some other truths. And he’s definitely getting too close to Livvy, who equates romantic love with pain and loss. 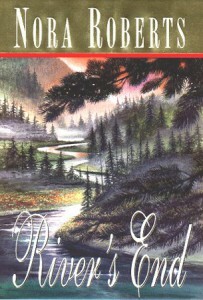 Although for much of the book, River’s End was well paced, tense, emotional and generally very enjoyable romantic suspense, I had a serious problem with it. I guessed almost immediately how the story was going to turn out, and as I read on, it became clear that the ending was going to make me very, very unhappy. I wasn’t wrong. That, plus Olivia’s descent into TSTL, cost the book the 4 star rating it might have earned from me; if you love romantic suspense, you may well feel differently. 3 stars. It’s available in multiple formats and you can buy it here. While I’m not as ardent a fan of Ms Roberts as other long time romance readers¹, I definitely enjoy her writing—many of her titles of the past decade grace my keeper shelves. As of May 2012, she is one of two writers I’ll buy in hardback, budget be damned, so it was pretty much a given that I would buy The Witness as soon as I possibly could (and amazon made it not only easy but cheaper than most everywhere else, so…). 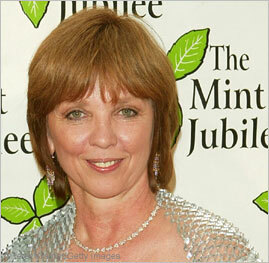 The Witness is the 200th published novel by romance genre grand dame and standard bearer, Nora Roberts. Informal research confirms that there aren’t many people in history who can claim to have done as much²—and I’ll add that this novel commemorates the milestone with a bang (or three). Daughter of a cold, controlling mother and an anonymous donor, studious, obedient Elizabeth finally let loose one night, drinking too much at a night club and allowing a strange man’s seductive Russian accent to lure her to a house on Lake Shore Drive. The events that followed changed her life forever. Twelve years later, the woman known as Abigail Lowery lives alone in the outskirts of small town in the Ozarks. A freelance programmer, she works at home designing sophisticated security systems. Her own security is supplemented by a fierce dog and an assortment of firearms. She keeps to herself, saying little, revealing nothing. The mystery of Abigail Lowery intrigues local police chief Brooks Gleason, on both a personal and a professional level. Her sharp, logical mind, her secretive nature, her unromantic viewpoints leave him fascinated but frustrated. He suspects that Abigail needs protection from something, even if he doesn’t know what—and that her elaborate defenses hide a story that must be revealed. Reader beware: I am a fan of Ms Roberts’ writing, and very rarely do I feel disappointed by it. The Search was definitely not one of those rare books. 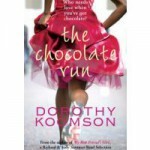 In fact, it was quite the opposite: an engrossing read with interesting characters, great dialogue, and solid writing. 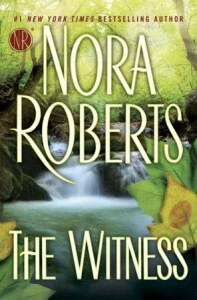 Number-one New York Times-bestselling author Nora Roberts presents a novel set in the Pacific Northwest, where an island provides sanctuary, the lush forests seduce the unwary, and a man and a woman find in each other the strength to carry on. To most people, Fiona Bristow seems to have an idyllic life—a quaint house on an island off Seattle’s coast, a thriving dog-training school, and a challenging volunteer job performing canine search and rescue. Not to mention her three intensely loyal Labs. But Fiona got to this point by surviving a nightmare. Several years ago, she was the only survivor of a serial killer—a madman who stalked and abducted young women, strangled them, and left them buried with a red scarf on their bodies. As authorities were closing in on the Red Scarf Killer, he shot and killed Fiona’s cop fiancé and his K-9 partner. On Orcas Island, Fiona has found the peace and solitude she needed to rebuild her life. Yet all that changes on the day Simon Doyle barrels up her drive, desperate for her help. He’s the reluctant owner of an out-of-control puppy, foisted upon him by his mother. Jaws has eaten through Simon’s house, and he’s at his wit’s end. To Fiona, Jaws is nothing she can’t handle. Simon is another matter. A newcomer to Orcas, he’s a rugged and intensely private artist, known for creating exquisite furniture. Simon never wanted a puppy, and he most definitely doesn’t want a woman. Besides, the lanky redhead is not his type. But tell that to the laws of attraction. By choice I have read very few in the way of actual reviews of this novel. Generally speaking, when one is spoiler-phobic, it’s wiser to avoid most chatter on books one is planning on reading. However, it is difficult to avoid all mentions of highly anticipated novels—which happens to be the case with most of Ms Roberts’ releases. Yeah, I’m an idiot, go ahead and laugh. After avoiding anything remotely resembling spoilers for more than six weeks, I finally cracked open my signed copy* of Black Hills last week—and stayed up all night reading it, all four hundred and seventy two pages of it. After reading the last line, I closed the book, sighed happily, went about my daily business with all the energy of a half dead mouse and, come evening, cracked the book open on the first page again. I don’t think it’s a secret that I enjoy pretty much anything and everything that Ms Roberts writes—short stories, long novels, trilogies, series, mysteries… She writes it, sooner or later I’ll read it—and chances are I’ll review it too. Sometimes sooner, sometimes really later—as is the case now. 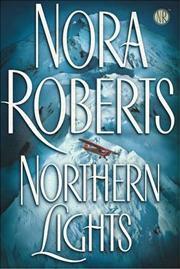 Northern Lights was first published in hardcover back in 2004, and it has the uncomfortable distinction of being the only paperback edition of Ms Roberts’ work in the ohmahgawdsouncomfortable Venti edition*. Set in the very small and *ahem* colorful fictional town of Lunacy, in Alaska, Northern Lights is a love story, a mystery, and the portrait of a community superficially reminiscent of Northern Exposure, full of eccentric characters in a setting that feels almost out of time. So I have converted my significant other to romance novels. Of course, he was open minded enough to give them a chance, but hey, I started the process. Just recently we read the In the Garden trilogy out loud to each other *pause for incredulous stares* Yes, we do this. We read alternate chapters to each other. Deal. Anyway. I had read the books when they came out first, and had re-read the first two a few times since, but this was the first time I read the three of them one after another. And of course, I had a terrific idea: a joint review of the trilogy. Please brace yourselves, as it’s a tad longer than usual–after all, it’s three books. Have some coffee, and enjoy. 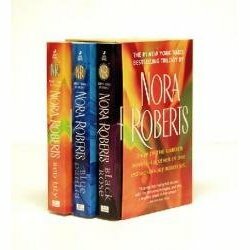 The In the Garden trilogy by Nora Roberts centers around Harper House – a stately mansion in Memphis that has been in the Harper family for more than a century – and those who live in it. 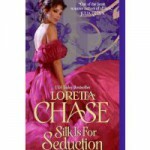 The novels mix contemporary love stories with the Southern belief in the supernatural as well as the charm, connections, traditions of more genteel times. Each novel follows the development of the love story between two main characters, while advancing their quest to discover the full story of the entity known as The Harper Bride, who has shared the house and grounds with the Harpers for at least a century. Three women meet at a crossroads in their lives, each searching for new ways to grow—and find in each other the courage to take chances and embrace the future. Part of the hallmark of Ms Roberts’ writing is her ability to create a sense of community by introducing characters and allowing the reader to participate in the evolution of their relationships—be these friendship, romantic, working relationships, what have you. These three books show the reader how a disparate cast of characters develop into a family in the best sense of the word. 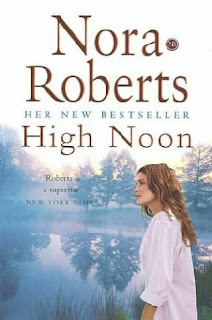 This most recent stand-alone novel by Ms Roberts is just one more in the long list of her titles going to my keeper shelves. 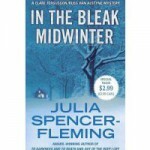 Called a romantic suspense by most fans, this book tells two intertwined stories—the love story between the main protagonists, Cilla and Ford, and the mysteries surrounding the life and death of Cilla’s maternal grandmother, the late actress and singer Janet Hardy. Virginia’s Shenandoah Valley, in the shadow of the Blue Ridge Mountains, is a long way from Hollywood. And that’s exactly how Cilla McGowan likes it. Cilla, a former child star, has found a more satisfying life working with her hands to restore homes from floor to ceiling—and has come here to her grandmother’s farmhouse, tools at her side, to rescue it from ruin. Sadly, no one had been able to save her grandmother, the legendary Janet Hardy. An actress with a golden voice and a tumultuous life, Janet entertained glamorous guests and engaged in decadent affairs—but died of an overdose in this very house more than thirty years ago. To this day, Janet haunts Cilla’s dreams. And during her waking hours, Cilla is haunted by her melodramatic, five-times-married mother who carried on in the public spotlight and never gave her a chance at a normal childhood. By coming to the East Coast, rolling up her sleeves, and rehabbing this wreck of a house, Cilla intends to take a shot at finding some kind of normalcy for herself. 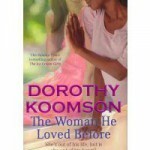 Deeper love is a man who will read those self same books out loud to you–from first page to last, over the course of a few days. 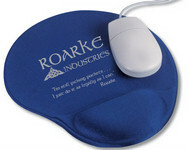 True love is a man who hears you sighing over Roarke and Navy SEALs, and then has this and this shipped to you. 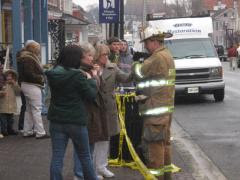 BOONSBORO — Today’s early-morning fire on the square in downtown Boonsboro started in the historic Boone Hotel, owned by romance novelist Nora Roberts, and has affected seven buildings, a fire official said. Jason Mowbray, a deputy chief state fire marshal, estimated damage to the North Main Street block at $1.5 million to $2 million. In addition to the Boone Hotel at 1 N. Main St., other buildings affected by the fire were at 9, 11 and 13 N. Main St., fire officials said. The Boone Hotel and structures at 5 N. Main St. and 7 N. Main St. were destroyed, officials said. All that remains standing of the hotel are four walls. My condolences to Nora and all the people affected by the fire. Thanks to AztecLady for the tip-off. Oh It’s Here At Bloody Last! I’ve been a tad jealous that the world and his mother seems to have read this book already, so I’m just gonna bed down for the night, until the book is done. Who needs Harry Potter, Pffftt!